CONCORD, N.C., October 31, 2018	(Newswire.com) - ACN Inc., a global direct-selling leader, recently consolidated two crucial websites that its Independent Business Owners (IBOs) depend on daily. Along with the implementation of the ACN Compass App, this new website is designed to streamline the way its IBOs do business. This website merger involves two sites: IBO storefronts and personal distributor sites, once available only to subscribers. IBOs used their storefront websites to acquire customers for essential home services, such as wireless, high-speed Internet, and energy. Personal distributor sites were designed to pique interest in the ACN Opportunity. Going forward, IBOs will have one, centralized website that can be used for acquiring customers and sharing the ACN business opportunity with prospects. Additionally, the new site features a mobile-responsive, modern design, creating a better user experience. 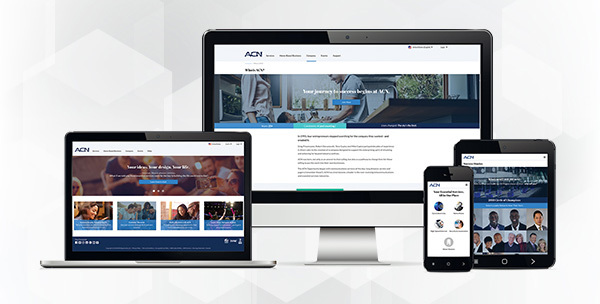 Additionally, ACN’s corporate website which previously resided on acninc.com now resides on acn.com - making it even easier for users to find ACN online. Founded in 1993, ACN is the world’s largest direct seller of telecommunications, energy and other essential services for residential and business customers. ACN provides the services people need and use every day, including phone service, wireless, energy, merchant services, television, security, and automation and High-Speed Internet. ACN operates in 26 countries, with offices in North America, Latin America, Columbia, Europe, Asia, and the Pacific. For information on ACN’s home-based business opportunity, visit acninc.com.